Vivian (Yabby You) Jackson, the legendary Jamaican record producer passed away at the age of 63 in Clarendon Jamaica, January 12 2010. He was one of seven children and left home when he was twelve to find work. 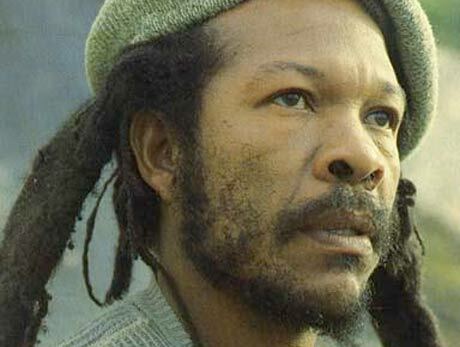 Although he hadn’t made any new recordings in recent years, he contributed a number of significant productions to the Jamaican record industry in the mid 70s, not only from his own group, Yabby You and the Prophets, but also from other artists whom he nurtured in their early recording days; especially Michael Prophet and Wayne Wade. Yabby You became seriously ill in his teenage years while working at a furnace facility. The effects of malnutrition had left him hospitalised and on his release, he was left with severe arthritis which had partially impaired his legs. As a result, his physical condition was a consequence of him losing his job and he began hustling a living on the streets of Kingston. An early recording he made at King Tubby’s Studio in Waterhouse, Kingston 11 in 1972, would eventually lead him to the recognition he so rightly deserved. A deeply spiritual man, his music had a mystical passion. 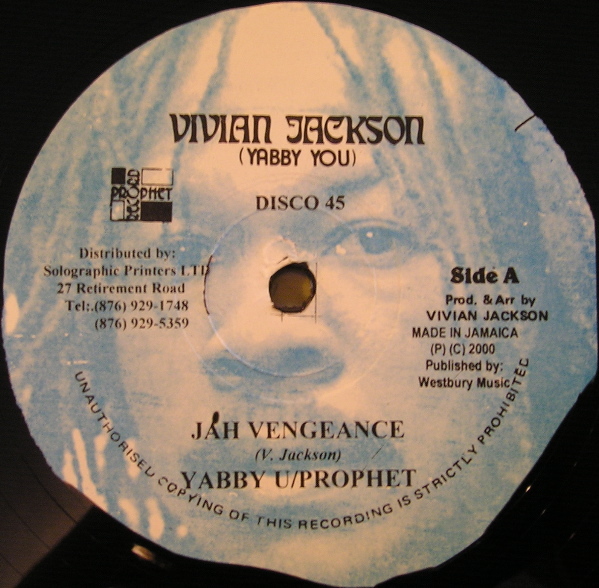 In the 70s, when you talked about roots, rock, reggae, you were talking about Mr Vivian (Yabby You) Jackson. He eventually founded his own record label in Kingston Jamaica and went on to release his recordings on the Grove Music Label in London. His ability to create unique rhythms with haunting horn phases and vocal styling, gave him a very distinctive sound. So kick back and catch the Reggae dance hall vibes of the 70s, when the trailer-load of sound systems used to spin the legendary Yabby Youriddims on their turntables. Zion Gate – Yabby You; Judgement Time – Yabby You; Jah Vengance – Yabby You & Trinity; Free Africa – Yabby You & Trinity; Jah Jah Way – Yabby You; Chant Down Babylon Kingdom – Yabby You; King Pharaoe – Yabby You; Conquering Lion – Yabby You; Lightning Flash – Big Youth & Yabby You; Man of the Living – Wayne Wade; Born Free – Michael Rose; Jesus Dread – Dillinger meets Trinity & Yabby You; Economical Crisis -Yabby You & Tommy McCook; Walls of Jerusalem – Yabby You; Balistic Dreadlocks – Yabby You, Wayne Wade, Clint Eastwood; Mash Down Rome – Yabby You & Michael Prophet. This entry was posted on June 30, 2011 at 8:02 am and is filed under Articles, Black History, News, Newsletter with tags Articles, Black History, News, Newsletter. You can follow any responses to this entry through the RSS 2.0 feed. You can leave a response, or trackback from your own site.